Yes, Walt Disney World and the other Orlando theme parks are the reason that millions of people flock to Central Florida for vacation every year. If you’re one of them, you might not even know about all the other activities in and around Orlando. If you’ve already been to Disney there are plenty of reasons to keep coming back for new memories and added adventure to each of your vacations. 1) World class golf. Some of the most famous members of the PGA make their home in Orlando. This is because the year round climate and resort style, manicured courses make this a prime golf location. Whether you’re on a business trip or are a seasoned golfer looking to spend the day on the green Orlando is famous for its courses. Here is a list of some of the best golf courses outside of Disney. 2) Fly through the sky on a zip line. Zip Orlando is less than half an hour from the Disney area, and it gives you the ultimate thrill ride. 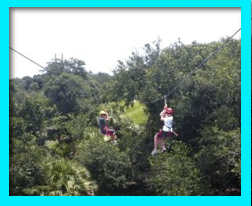 The zip line course takes you over the wide, open spaces of a working cattle ranch. If you zip at night, you’ll be able to see the Magic Kingdom fireworks from the top of one of the towers. The experience is suitable for kids and adults, and you can also book an ATV tour as part of a package. 3) Catch a wave indoors at Fantasy Surf. You don’t have to travel an hour or more to the ocean to go surfing. Fantasy Surf is literally minutes away from Walt Disney World, and the surf’s always up at this Flowrider venue. If you’ve never surfed before, don’t worry. They’ll teach you how to do it, and the pool’s padded if you take a spill. The whole family can join in the adventure, or you can let the kids surf while you watch and take photos. 4) Nightlife. Honeymooning in Florida or making memories with a group of friends for Spring break? Orlando boasts a lively nightlife for locals and visitors alike. The city has hundreds of nightclubs, theme bars, and dinner shows so everyone can find something that is fun for them. One unique venue is the famous ICEBAR located downtown. This is an indoor bar carved out of 50 tons of ice year round, great for cooling off in the middle of Florida heat, and definitely unforgettable. 5) Go for a hot air balloon ride. Imagine soaring up in the sky, untethered, with the vast Orlando landscape spread out below you. 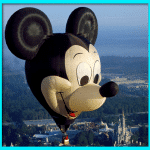 Several companies, like Orlando Balloon Adventures and Bob’s Balloons, offer hot air balloon rides. The baskets typically carry from four to six people, and the experience is suitable for kids and adults. You’ll see everything from the Orlando skyline to the area’s many lakes to native wildlife that most theme park visitors never get to see. 6) Hop aboard a horse. Sure, there’s a carousel at the Magic Kingdom, but wouldn’t your kids love to ride a real horse? 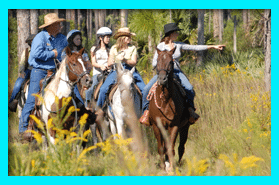 Horse World in Poinciana gives them the chance to feel like cowboys and cowgirls as they saddle up and go for a ride in the wilderness. 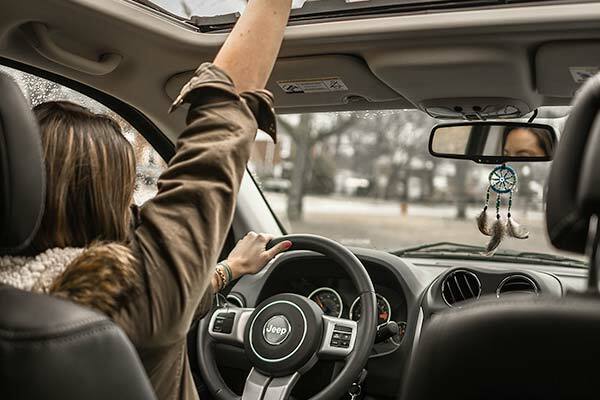 There are rides geared to all experience levels, so you’ll do just fine even if you’ve never ridden a horse before. 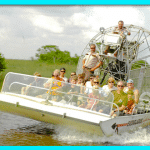 7) Take an air boat ride in a real Florida swamp. You might be surprised to know that there’s a lot of the “old Florida” left in the Walt Disney World area. Companies like Boggy Creek Airboats offer journeys out into the swampland where alligators and other wildlife roam free. If you’re lucky, you might even see a mama gator and her babies. The air boat captains know all the best places to spot the wild animals. 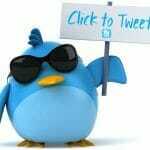 If you are looking for new and exciting activities to participate in while you are in Orlando, how about looking at a new and exciting place to stay? Instead of staying in a hotel while you visit, you can stay in your own pool home, and spend your extra hours swimming in the sun and relaxing with family or friends. 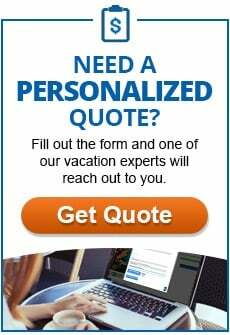 If you haven’t booked a place to stay in Orlando, check out our amazingly priced pool homes. If you are looking for a hotel, you will find that the Highway 192 area is your gateway to many of these attractions, which makes it convenient to stay at hotels like: Celebration Suites at Old Town, Holiday Inn Maingate East, Royale Parc Suites, Baymont Inn and Suites Celebration, and Mystic Dunes Resort. You can still get to them easily if you stay in the Lake Buena Vista or International Drive areas. 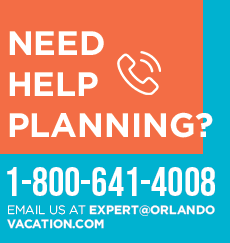 Customize your vacation on www.orlandovacation.com or by calling 1-800-641-4008 and leave a day, or even two, to try out some of the lesser known fun in Orlando.